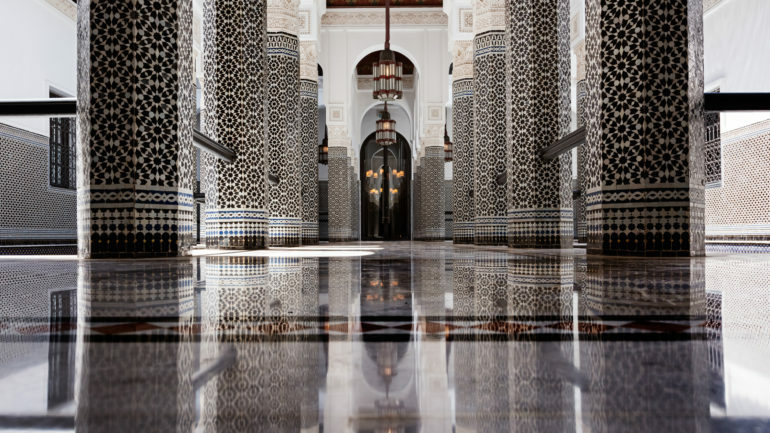 Marrakech is adorned with its finest assets to open the doors of Mamounia, an area where greenery and luxury reign. The ocher building, inaugurated in the early 20th century overlooking a park of thirteen hectares with rare species. The discovery of the gardens of the domain rhymes with the awakening of the senses: the green colors of the palm trees, the sweet smell of orange trees, figs or lemon trees, the sublime roses so dear to this sweet country, the singing of birds … none of these things will not leave you indifferent. 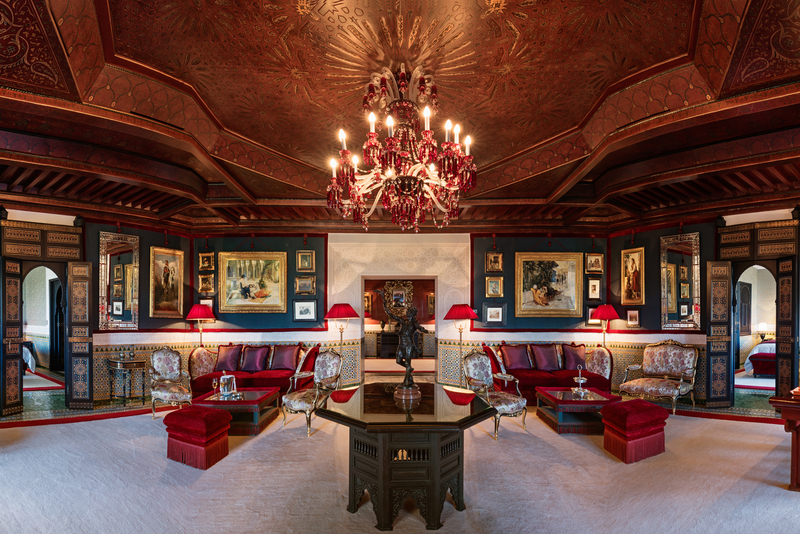 Home to many political figures, celebrities or fashion designers, the area welcomes a discerning clientele, European, who appreciates calm and discretion. 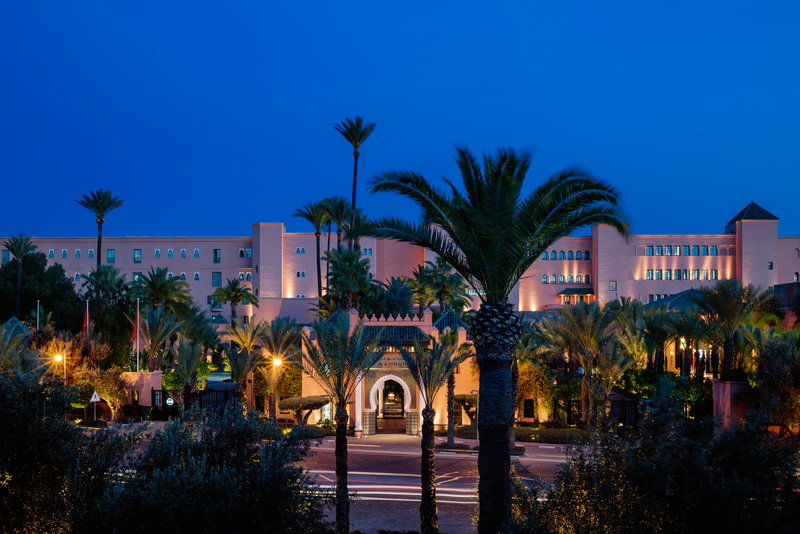 Equipped with 135 rooms, 65 suites, 6 suites of exceptions on the 3 riads, each volume respects the original layout of the premises and the architecture. All rooms have a sun-heated terrace with views of the gardens. Mamounia. 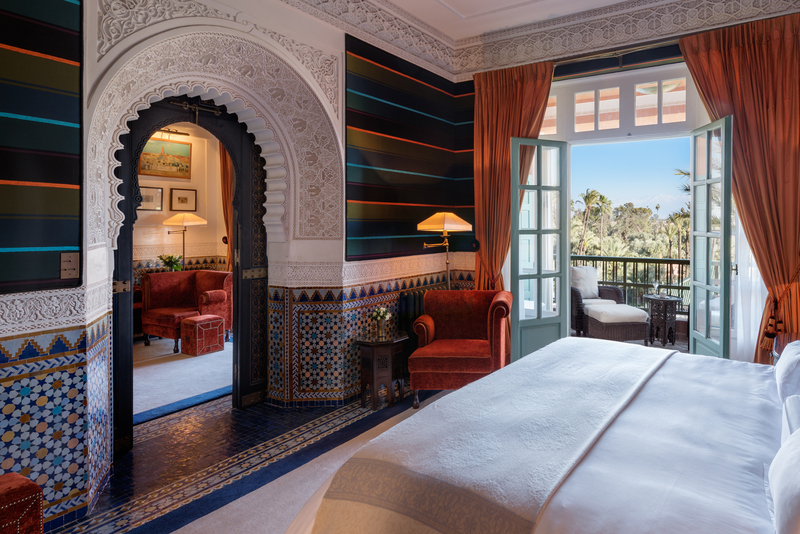 The former riad has shaped its legend over time and has seen its offer evolve over the years. 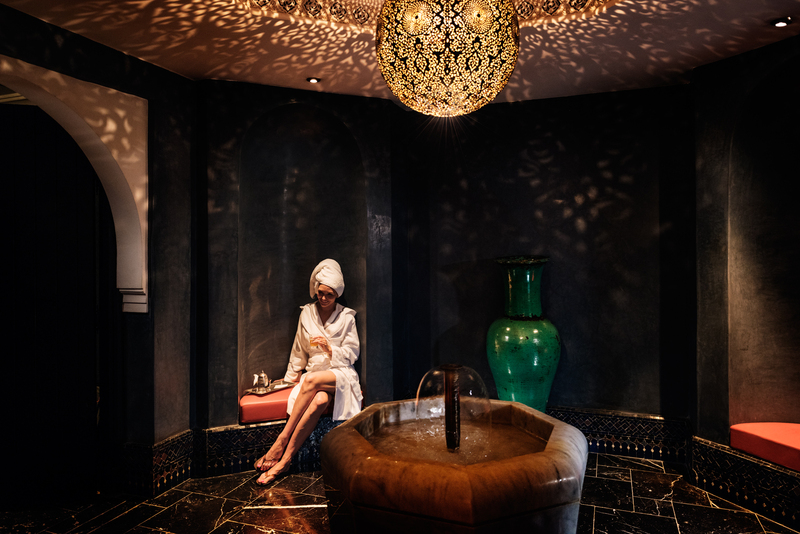 So that your stay is source of expatriation and relaxation, a spa of more than 2 500 m2 offers you relaxation and pleasure with a subtle mixture of Moroccan culture and oriental tradition. Italian will delight fans of authentic cuisine in a warm and romantic with seasonal products, sometimes from the garden of the estate. The French table will be in his image: elegant, delicate and fine. 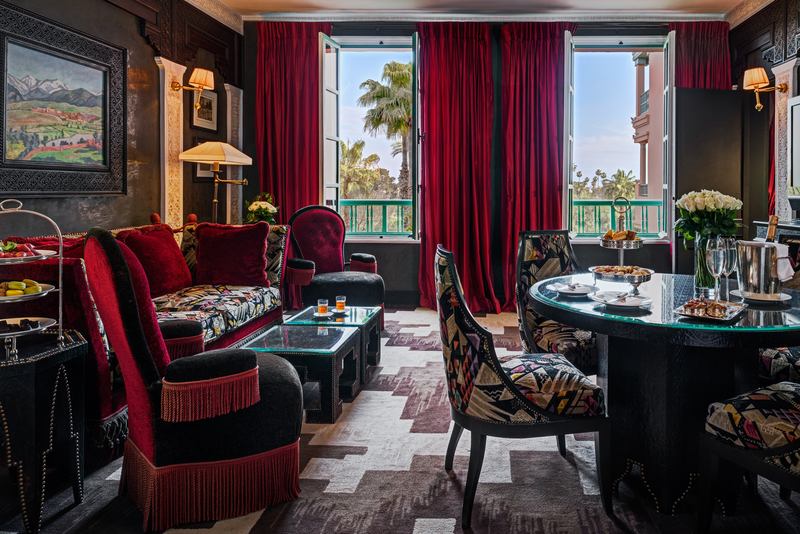 Your stopover in Marrakech would be similar without a gastronomic stop at the Moroccan table of the hotel. Located in a riad of three floors, the chef combines tradition and modernity for you to discover the dishes of the country. 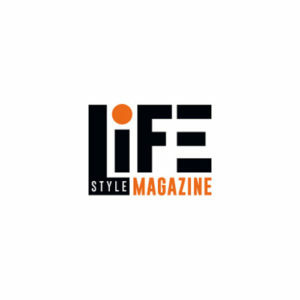 Come live the myth of Marrakech, its history, its colors and traditions by tasting the charm of the Moroccan lifestyle. 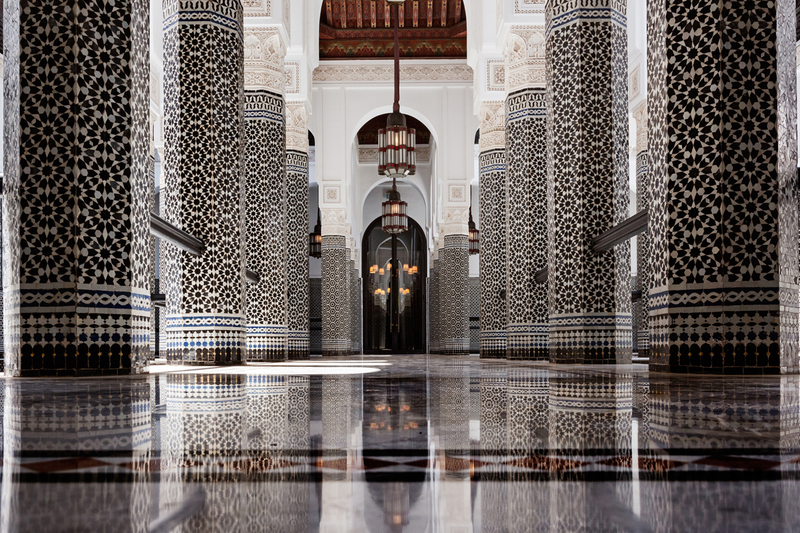 Mamounia is an intense, mystical and unforgettable journey.